When you come to the end of your vacation it can sometimes be accompanied by a bit of depression. Who am I kidding, I think it always comes with depression. Missing all the yummy food you didn't have to make or clean up after, lounging on the deck of your luxury cruise, and all the free from responsibility feelings are a sad thing to say goodbye to. I personally experienced this so much I decided to turn my home into a sort of retreat that way when the vacations end I have a little bit of luxury to look forward to even when returning home. For me the most important room to focus on is the bedroom. 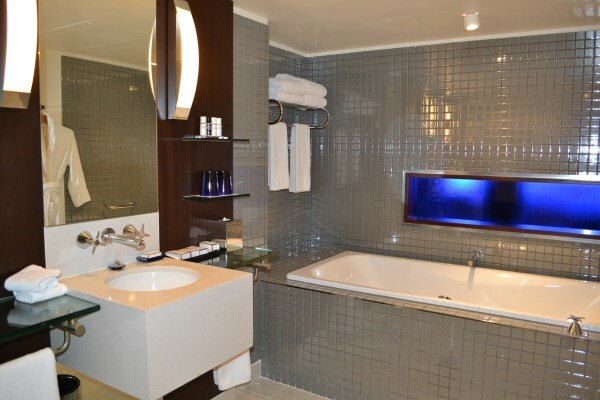 If staying in a luxury resort or on a beautiful cruise liner the bedroom is the main area you will call your own. At home it is usually the same, your one semi private area that you can call your own. Well that is when the kids aren't co sleeping or playing hide and seek in your closet but I digress.. Lets start with the bed! For us that is the number 1 priority in the house in regards to spending that little extra cash in order to have comfort. In all our time in hotels over the years that, to me, is where the real separation happens between mid range and luxury. So make your bed as nice as those high end resorts! Sheets is the first stop on the how to train. We recently got a set of Cariloha bamboo sheets and although they are a bit pricey they are totally worth it. Even the package they come in is fancy and so much nicer than any regular set of sheets. I think they are the softest sheets I have ever slept on and that includes in any cruise ship i've ever been in, I love that they are 100% bamboo as well so you know it's about as sustainable as it gets. Sheets are so important for that luxury feel since it is what you actually feel as you slumber. After the sheets you have to consider the blankets or comforter. Now when you walk into a nice 4 star resort or high end room on a cruise what does the bed look like? That's right piled high with amazing pillows and a fluffy soft and warm comforter. The absolute best in my opinion is a goose down comforter. If you can get 100% then all the better. Nothing feel more luxurious than settling in for sleep on bamboo sheets wrapped up in a soft down comforter. To find the best down comforters (there are many and they are NOT all created equally) check out an independent review site. For the bathroom it's a lot easier. Grab some higher end accessories. Really it doesn't even need to be that expensive just products that catch your eye and make you happy. 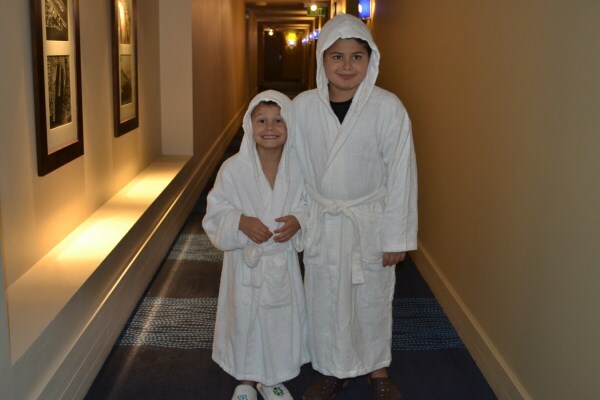 I also like to have a nice plush bathrobe for getting in and out of the shower or tub, nothing says a fancy resort or cruise like a soft terry bathrobe and slippers! At Blu hotel in Sydney they even had those for the kids! After years of both exorbitant spending and then simplifying and living as minimally as we could we have really come to a conclusion. I want, no actually need, to love what I am looking at in my day to day life. If that means spending money on a vase that I adore or a painting that just feeds my soul then that is what I am going to do. There is a nice middle ground between blowing money on worthless stuff that doesn't even carry any meaning and living with absolutely no decorations at all. I spent so many years battling against the desire to create a luxury feel in my home and although I have no regrets as it gave us a lot of clarity I have found the middle ground to be amazing. I love my drive home but also want to feel happy in and proud of my space. Splurge on those items that you really connect with and simply make the whole house feel like a home you can be proud of, a home you want visitors at, and a home that, when you return from that luxury cruise, you feel excited to return to. 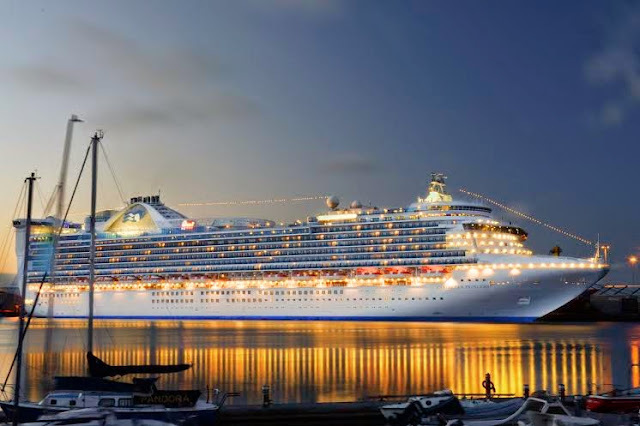 What tips do you have for making home feel like a luxury resort or cruise? Tell us in the comments below!